Pirates of the Caribbean: Tides of War is a fun new city building style mobile game, from Joycity and Disney, available for free on both Google Play and the Apple App Store. I’m not typically a huge fan of the city building genre, because it gets tedious for me very quickly. 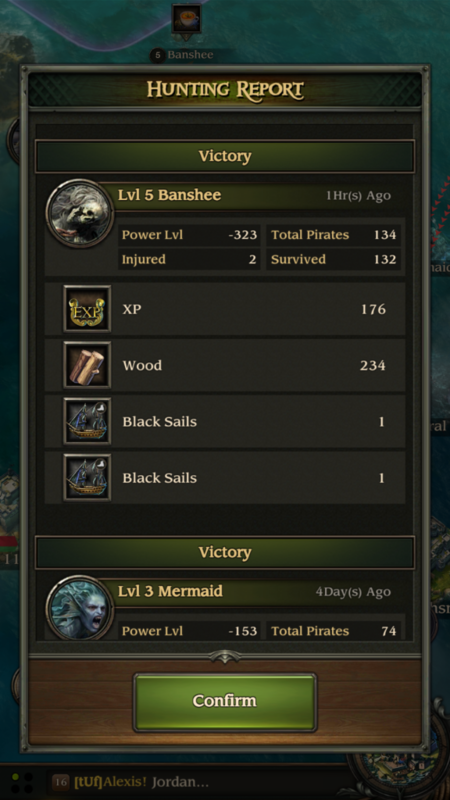 However, for some reason, adding in the Pirates element makes this game so much more enjoyable than the usual farmers, medieval knights, or cavemen clans do in other titles. 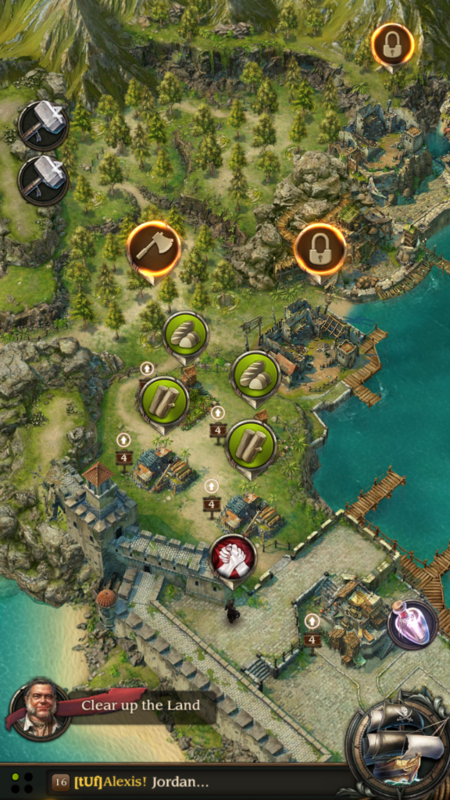 It also helps that it has MMO RPG aspects, with quests and ways to improve your hero pirate. I’ve found myself spending a good deal more time playing this game than I intended, every time I open the app. Whether I’m upgrading my town and ships, learning new skills, or raiding other players’ towns or ships, this game gets me hooked. Luckily for the productivity of the rest of my day, many activities take time, so there’s a limit to the amount of stuff I can do in one sitting. 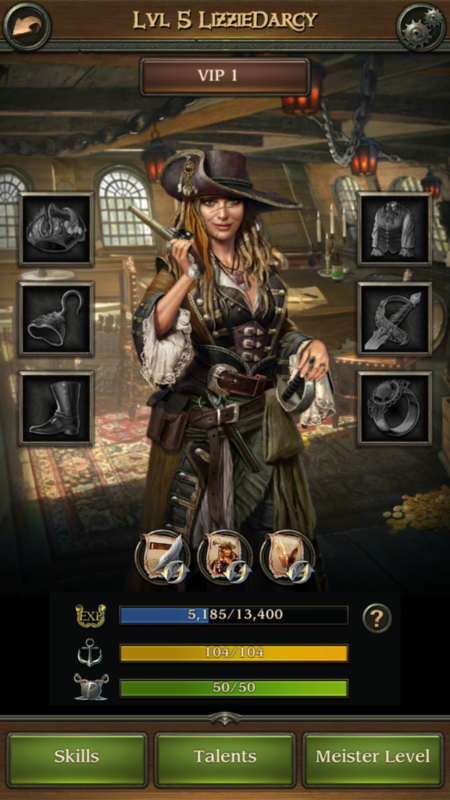 When you first start up the app, you’ll get to choose your pirate avatar and give her, or him, a fitting pirate name. 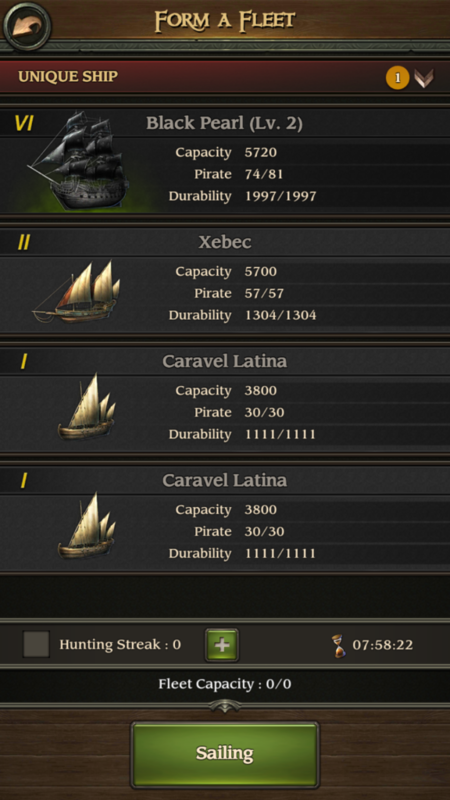 Due to the limitations of mobile games, you won’t be able to customize your avatar, but there are about a dozen interesting looking options of nefarious seafaring knaves to choose from. 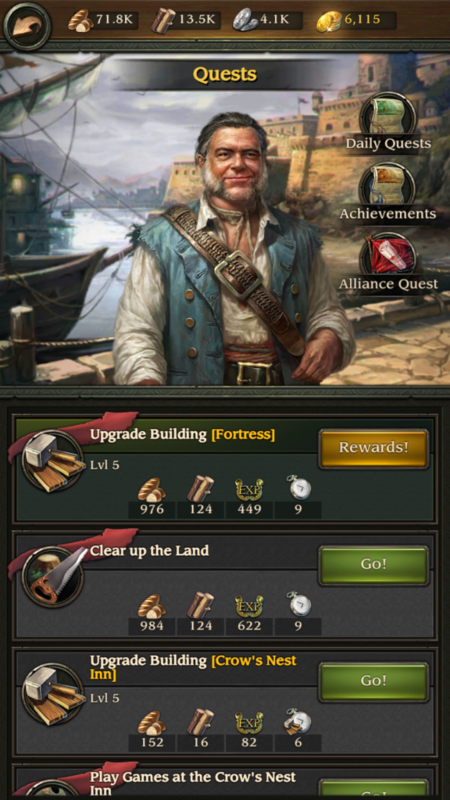 Once you have an identity, the wise and salty pirate Mr. Gibbs will help you get your town set up, and give you helpful tips on what to upgrade or accomplish next. He’s like your Quest Master, always ready to point you in the right direction to advance your pirating career. You’ll also meet Captain Jack Sparrow, who will help you with attacks sometimes, after you’ve done him a couple favors of course. There are other familiar characters from the movies that you’ll meet during your marauding, but I’ll leave them as a surprise. As I mentioned, this is an easy game to get invested in, and that’s partly due to the ease of game play. Anyone can work her way up to villainous success, just by following the guidance of Mr. Gibbs, no specific gaming talent required. 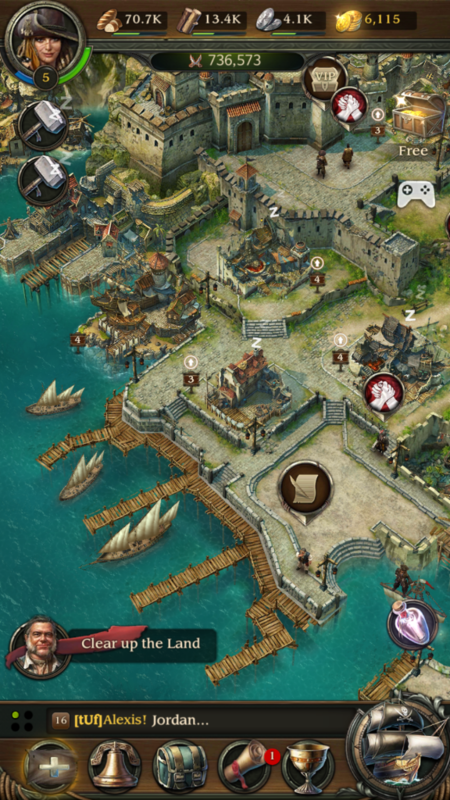 Despite the fact that certain actions require you to wait and come back to the game later, you’ll level up fairly quickly, and be able to attack bigger and tougher opponents, as well as upgrade your town, troops, and ships at a fairly steady pace. 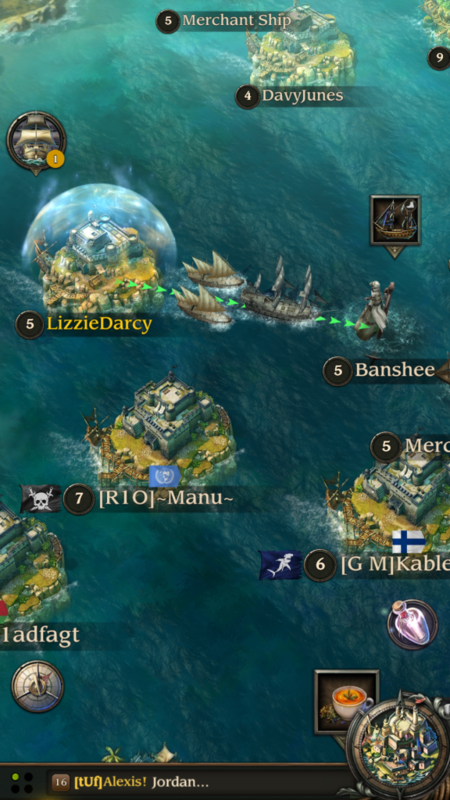 It’s so satisfying to see your town growing, and your fleet of ships firing on enemies at sea. Since this is an MMO as well, you can even team up with other pirates around the world, to form an Alliance and become an even more formidable floating force of fearsome foes. The RPG elements allow you to outfit your avatar with special weapons, clothing, and accessories to make him an even bigger threat to competing scallywags. Items needed to craft these special adornments, as well of in game currency and other helpful treasure, can all drop after defeating an enemy, or as rewards for completing quests and logging in each day. 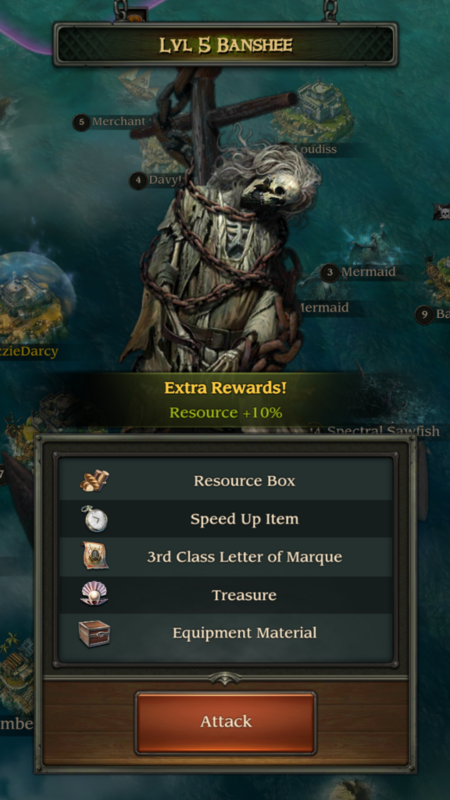 Pirates of the Caribbean: Tides of War lets you stick a toe in the tumultuous waters of the high seas adventure franchise, all for free, and at no risk of being eaten by a kraken. 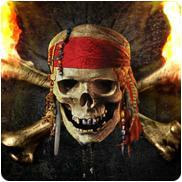 If you love the Pirates movies, or have just always wanted to be a swashbuckler, get this game for Android or iOS, and get ready for many hours of exciting skullduggery.